We’ve all been there. You’ve gotten into bed and turned out the light and as you wait for your body to engage in sleep, a minor thought from the day pops into your head: a fear or worry that isn’t too pressing. Even if the thought is minor, it can possibly spiral into a series of thoughts that are distressing, disturbing, and depressing. But why only at night? How can you avoid that little question that takes over and keeps you from getting a restful sleep? Throughout most of the day, these thoughts can float in and out, but because we are busy, we don’t often consider them or think about them too much. It is in the quiet moments of our day, usually when we’re tired and ready to rest, that these thoughts secure a foothold in our minds. 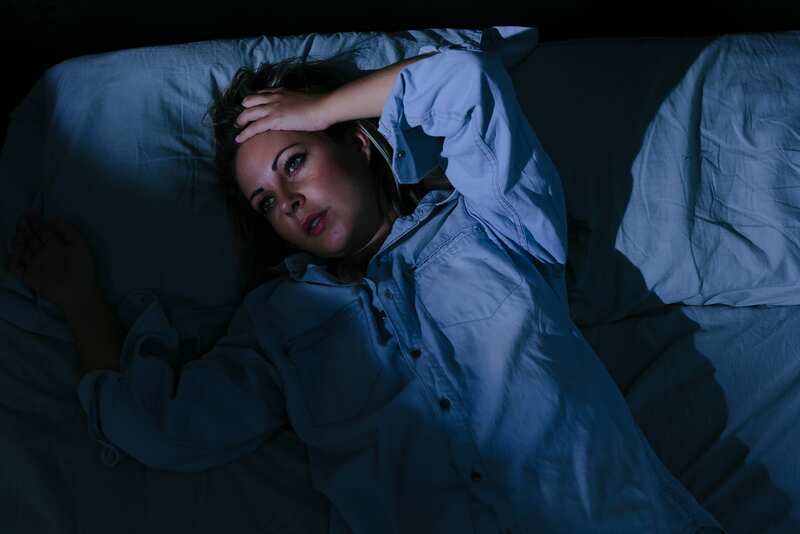 If your sleep cycle is regularly interrupted and does not result in restful sleep, your tired mind is more susceptible to these intrusive thoughts. Feeling anxious about getting enough sleep can spiral into worries about not being prepared or rested for work. When your brain is tired, your defenses are lowered. If you’re having difficulty falling asleep at night, it can possibly be due to the amount of light in the bedroom. If light is possibly distracting your brain from getting sleep, you’ll stay awake longer and leave more of an opening for these thoughts. How Do You Handle These Thoughts? Anxieties about running out of time or the overwhelming nature of life can be combated by planning out step by step solutions. Sometimes laying out a plan can set those anxieties at ease. Depending on your process a To-Do list can be a great start. Do something you enjoy and walk away from feeling good right before you go to bed. If you enjoy reading, playing a card game, or drawing, set time aside for later in the evening. Try to do activities that involve as little screen time as possible. This can prevent those negative thoughts from creeping up. Our bodies are incredible at learning behaviors. If you sit in bed waiting to fall asleep before you’re tired, your brain will no longer associate sitting in bed with sleeping. If you only go to bed when you’re ready to sleep, you’re more likely to fall asleep quickly and avoid that quiet time before fully falling asleep. Light can interrupt sleep, and being exposed to light right before bed can trigger your brain to wake up and stay up. Putting the cellphone away, turning off the TV, and pulling the blinds to keep outside light from getting in are all great ways to avoid being disrupted. If these methods don’t help or don’t make as much of an improvement a you are hoping for, talk to your doctor about your situation. They may recommend therapy or other methods of directing your thoughts. Is Social Media Fueling Social Anxiety?